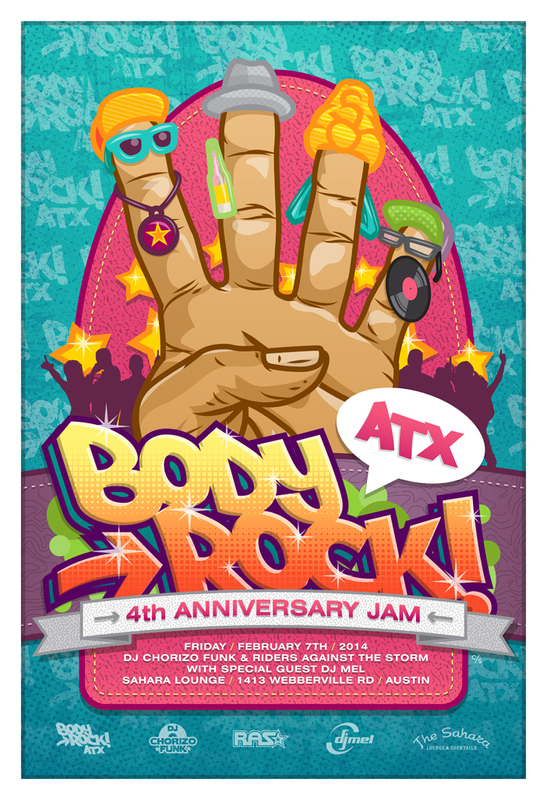 Next Friday we’ll put 4 years in the books at Body Rock ATX…..and we can’t wait to celebrate! We have some great plans for 2014 to keep the party growing and keep the essence of the collaboration between Riders Against the Storm & myself….to get free in the music. The mighty DJ Mel will be joining me on the turntables. Let’s do this Austin! FB.